Meditation is called “Dyana” means the flow of thoughts. When one’s thoughts flow smoothly without a hitch, fully integrated in the mind of the Cosmic Consciousness, then the state is a state of pure and profound. Someone who is just learning meditation, only able to do for some minutes. 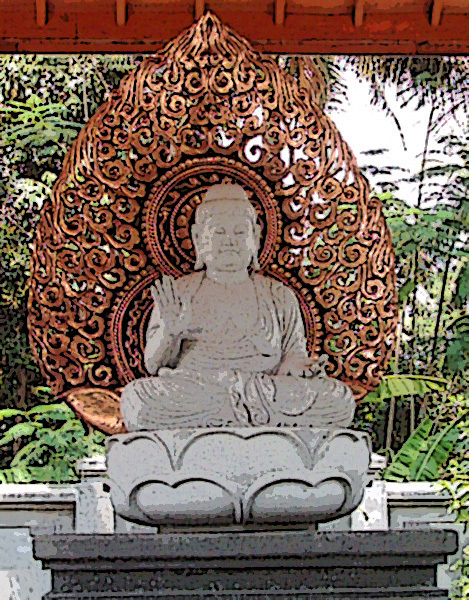 But with meditation techniques and constant practice, it will gradually reach the thoughts and feelings of the noble and pure. Once again this is not a theory, but must be experienced by the practitioners of yoga. The brain consists of millions of nerve cells which create so many small of energy, subtle emit electromagnetic waves which vary according to circumstances. Brain waves can be detected with EEG electrode machine (electroencephalogram), which receives and records the rhythm of the waves in the form of graphs. Conditions at the beginning of meditation is like this. In a tranquil and peaceful state of full consciousness. Rhythm of about 8 rev / sec. Although the mind in a state of calm, but not weak or passive, even in a state of mind fully conscious. Telepathy or the achievement of current creative inspiration. Gradually, during deep meditation, could achieve higher consciousness, brain waves are very slow. Rhythms 4 rev / sec. In these circumstances obtained by the visions of creativity. Even the past, present and future could be seen. Then when the wave reaches the Delta (rhythm 1 round / sec), then the steady state is reached. All movements of the universe and the mind seem stalled entirely. There was no difference in distance, space and time. Yogi has been integrated into infinity with the Supreme Consciousness. Sacred songs like Gayatri and natural sound of music will help bring in higher consciousness. These media are needed at an early stage. Latter on, Yogi would able to heart their inner voice, the mantra from his/her inside. Breathing technique in meditation will give comfort to our body and mind. Also some breathing teachnique will improve the chi of the body. These practice will make our body and mind healthier. 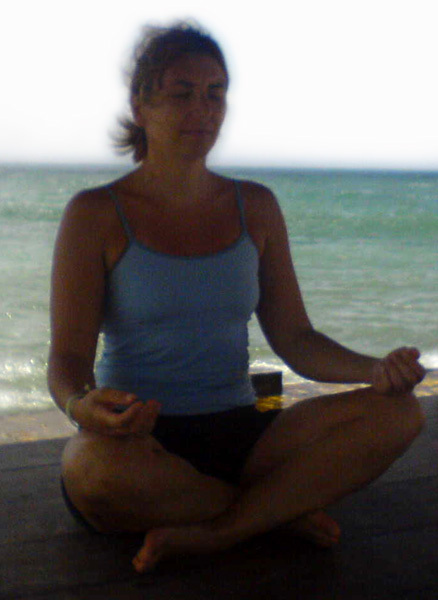 Space or place of meditation affects the meditation of yoga practitioners. 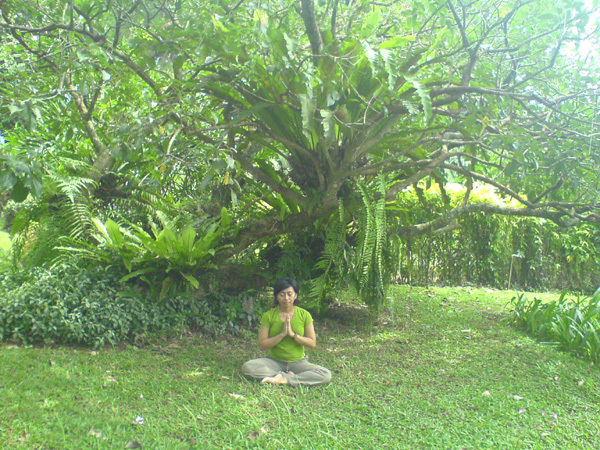 Sacred place, nature (mountain, sea) or meditation area influence the meditator in doing meditation. It make higher consciousness. Special meditation space is needed at an early stage, but this is not the goal of meditation. Because the goal of yoga is when the yogi had discovered and realized that Mosque is our self, Church is our body, the Temple is our self. This stage can be reach while we live as a human being. Enlightenment given to his student teacher. In the world, without any Guru which guide us, enlightenment is impossible to achieve. This is part of Raja Yoga. For the principals of yoga and spiritual enlightenment to be achieved. With enlightened consciusness, the student self-evolution has occurred when he/she lived in the world. This will enhance the overall development of the physical self, mental and soul.